Stunning renovation - fantastic 2sty! Spacious floorplan w/3 Bds & 1.5 Bths! Charming covered porch, inviting Entry w/tile floor; light-filled Living Rm w/custom built-ins, crown molding, chair rail & adjoining Dining Rm. Updated Kitchen w/granite countertops, SS appliances, tile backsplash, pantry & island/breakfast bar. Main Flr also finds an updated Bth! Spindled staircase w/original millwork leads to 2nd Flr offering Master Bd w/His & Hers closets, 2 add’l Bds & updated Bth. Super clean W/O LL! Oversized 2-car attached garage w/newer openers! 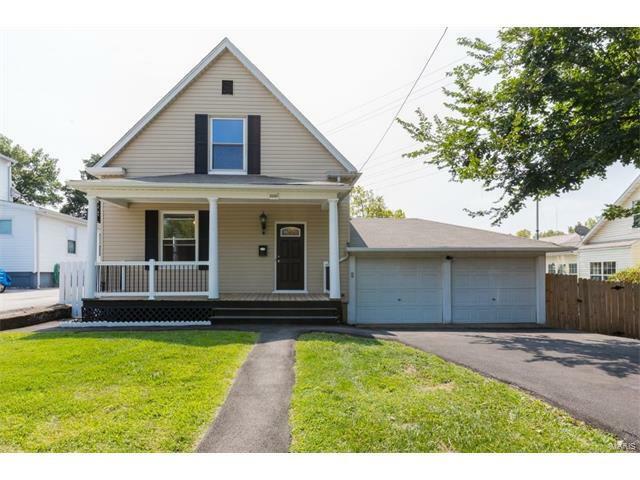 2017 updates include: new siding, new roof, new gutters, new driveway/sidewalk, updated Kitchen w/appliances, some new windows, new exterior doors, updated Bths, new deck, new front porch & new flooring throughout! Relax outside on the covered porch, or on the deck & admire the fenced in yard! Great location – close to Greenwood Park & downtown Maplewood shops/restaurants/nightlife. Easy access to hwys! Hwy 40 to Big Bend Blvd, left on Oxford Ave, right on Sussex Ave, continue to Manhattan Ave. Home will be on the right.